Throughout a film’s development cycle, there is much that is changed and left on the cutting room floor. For example, early in the story development process for Frozen, Elsa was envisioned differently but after “Let It Go” was written by Bobby Lopez and Kristen Anderson-Lopez her entire character changed, so the story was altered to fit around that. Entire sequences were left out of the film as well, but you can watch two of them after the break! 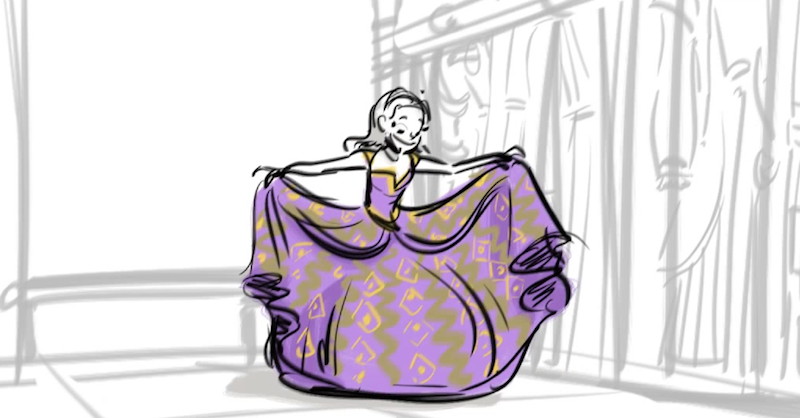 Both scenes give us a look at some of the beautiful storyboards that Disney artists put together. There are tens of thousands of storyboards that are created, a lengthy process, but for an animated film is essential to understanding how the film will appear visually. Having the opportunity to watch deleted scenes now reminds us why they were left out of the film, but also gives us an appreciation for the art form and all the hard work that is done that we usually never get the chance to see. You can watch these scenes and learn some more about what went on behind-the-scenes by picking up Frozen on Blu-ray and DVD, the sets for which are scheduled for release on March 18th. You can pre-order them from Amazon now !